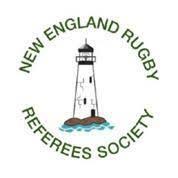 The New England Rugby Referees Society has transitioned to a new assignment platform and is now ready to start using Who’s the Ref (hereafter abbreviated WTR).https://www.whostheref.com/us/index.php This means some important changes in procedures involving submitting schedules and updatin.. 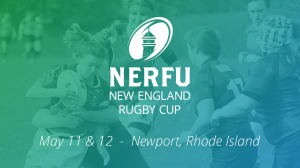 The NERFU New England Rugby Cup once again takes place on May 11th and 12th at the beautiful Fort Adams State Park in Newport, Rhode Island. The athletic fields overlooking Narragansett Bay will provide an impressive stage for New England's top men's and women's rugby players to sho..
We look forward to seeing everyone Saturday, February 16 for the Annual General Meeting. The agenda is as follows:10:00 Roll Call - Jeff Sperling10:15 Approval of 2018 AGM Minutes Members10:25 Welcome Address - Lori Staples10:35 Treasurer’s Report - Matt Mills10:45 Executive Director of Clubs .. 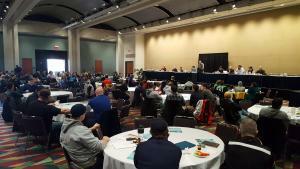 The NERFU AGM will be held on Saturday, 2/16 at the DCU Center in Worcester, MA. The general assembly will begin at 10am, followed by divisional break-out sessions. The AGM will conclude by 2pm. All clubs are required to send a representative to the AGM. 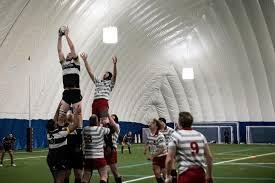 A detailed agenda will be posted shortly, but..
Boston Rugby Club is excited to offer high level rugby for high school rugby players this off-season (both boys and girls).Sheltered from the New England winter, within the Union Point Sports Complex dome in Weymouth, there will be three sessions offered during December:Dec 2nd, 2-4 pm: Boston Rugby..
Major League Rugby recently announced that Boston, along with Atlanta, GA, would join the professional rugby league beginning with competitive play in the 2020 season. 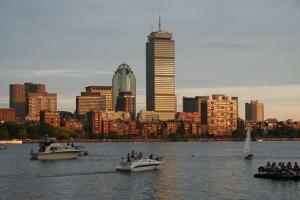 The new team in Boston will build on the city’s rich sports legacy and deep rugby history. The first rugby match played i..
October 12th-14th the USA Rugby Training & Education department will be hosting an Education Weekend in Hingham, MA at:Derby Academy56 Burditt AveHingham, MA 02043Saturday will offer a variety of technical clinics, in addition a "Trends in the Game" session will offer an explorat..
DARYL JACKSON of USA Rugby is the new Youth Rugby Development Officer for New England. 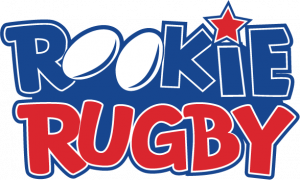 His role is to increase membership with elementary, middle school and high school rugby. 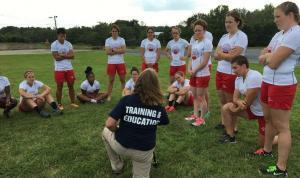 As a licensed PE teacher and former parks & recreation instructor he knows these groups are always looking for something..
South Shore Anchors RFC is hosting a pair of USA Rugby clinics; the Level 200 Coaching and the Level 1 Officiating. 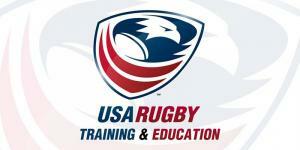 Sign ups are done via USARUGBY.ORG and prerequisites are involved. These are the only scheduled clinics in New England for the rest of the year, so register early.Link for th.. 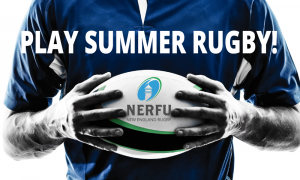 The mission of the New England Rugby Football Union is to manage, serve, and promote the game of rugby in the New England area, at all levels of play; to assist member teams and participants in their various forms of involvement with the game; to adhere to all the laws of the game; and to encourage and facilitate the involvement of as many people as possible in rugby activities.